Women’s Issues | Writers Speak Out! J: When did you begin to write? J: Have other arts contributed to your vision? Janice: All forms of art interest and affect my understanding of human experience. Music, dance and painting speak to that which transcends words. J: Do you hear your work when you write or visualize it? Janice: Yes. Funny how that happens. J: Would you say you’ve had any particular literary influences? Janice: Kazuo Ishigoru’s earlier books made a deep impression on me, particularly the way he makes use of an unreliable narrator speaking in the first person singular to examine a larger theme. J: And who are your favorite writers? Janice: In addition to Ishigoru, I would say Babel, Kundera, Alice Munro, Fitzgerald, Chekov. There are others of course, but these are the ones who impress me most with what is possible in writing. J: Do you ever find yourself writing during a normal workday? J: Could you describe your writing process? Janice: It begins with an idea or a question – something I’m curious about and want to explore. Then I do a lot of reading and thinking. Slowly a story takes shape in my mind. When I sit down to write, I have a fairly good idea of what I want to do. Then I go over it, editing and working on detail, gesture, language. Then I put it away and revisit it several weeks or months later. J: Is writing a tool for therapy in your own life? Janice: No. It’s more like a way of being in the world, of imposing order on the chaos. J: Do you feel your writing exposes you? Janice: Totally. Even though there is very little that is autobiographical in my work. J: Do you believe that formal academic training has been a benefit? If so, can you elaborate..
Janice: I did a Masters degree in creative writing at Bar-Ilan. It gave me the perspective on writing as a craft and an art, which I sorely lacked at the time. J: Is there a network of writers that supports you? Janice: Not formally, although I am in touch with many writers. J: Are you involved in the internet writing scene? Janice: I am the managing editor of The Ilanot Review, an online journal of Creative Writing that is affiliated with Bar-Ilan. J: Would you consider ‘mentoring’ a good young writer? I mean; offering critique, praise, encouragement. Janice: Yes. I’ve begun to do so professionally, and am interested in teaching Creative Writing. J: How do you feel about getting political in your writing? 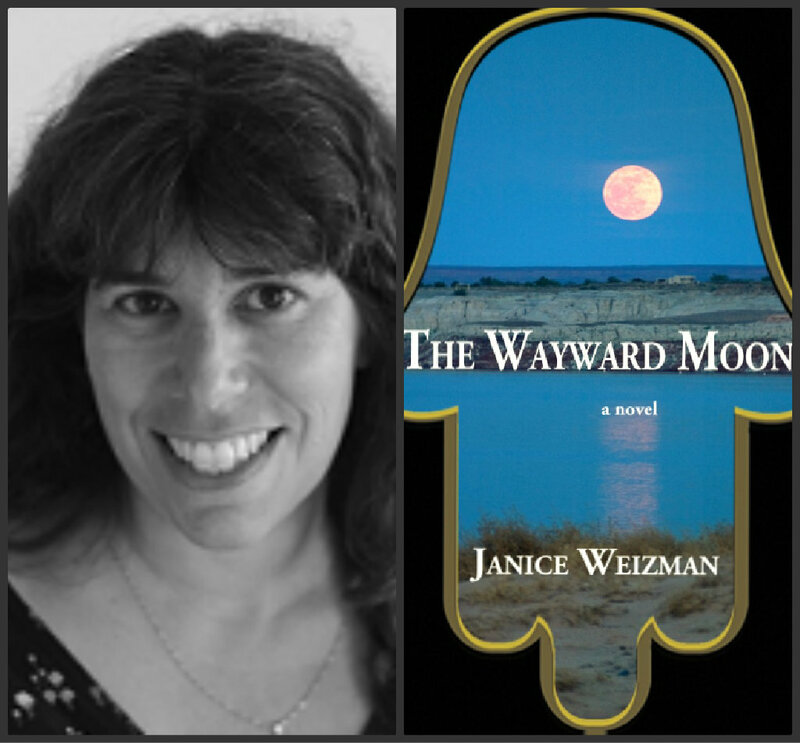 Janice: I think that good writing can convey themes and opinions without being didactic. J: Do you see yourself as an Israeli writer? J: Have you received comments on your writing that stick in your mind? Janice: Reader feedback, including when it is negative, is exciting and fascinating to me. But what is particularly gratifying is when someone tells me that I’ve gotten a time period or character (e.g and elderly German Jewish man, or a young Muslim woman from Ramallah) right. J: Can you offer some background to your latest novel: The Wayward Moon. How was the idea of the novel born? 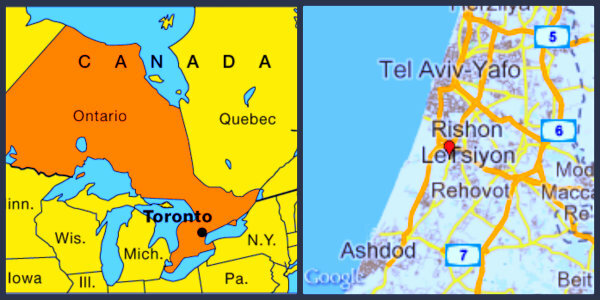 Janice: Well, I moved to Israel from Canada 30 years ago. In time, I became very curious about Islam and its relationship to the violence of the Middle East. I sought out a course on Islam and studied its teachings as well as some of its writings and its history. I learned about the Golden age of Islam, a time when its culture was progressive, confident, and relatively tolerant. The city of Bagdad was its center and the Jewish community partook in the prosperity. But I also saw that women were almost entirely absent from that history. We know the women were there, but we have almost nothing that conveys their lives or their voices. I thought a lot about that, and I started to envision a story about a young woman who is forced to flee her home and make her way in that world. It grew into the story of her journey, geographically and psychologically, and about the limits imposed on women at the time. J: How did the book grow from idea to reality? Janice: I had always wanted to write a novel, but thought that it would only happen many years in the future. 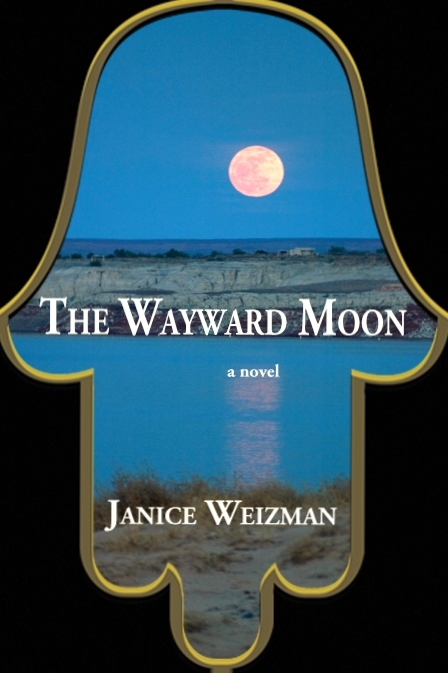 But once the story of The Wayward Moon was in my head, I decided to try to sit down and write it. I would do a little every night, often thinking that I had no idea what I was doing. But after a year and a half, I had a manuscript. J: Were you unavailable to your family during the years of writing? Or, how did you manage to integrate regular daily life with work on the novel? Janice: I wrote for 1-3 hours each night. Because I work with my husband, I often had a little bit of time in the mornings as well. But I wasn’t fanatical about it. It was more like a really intense hobby. J: Do you have a favorite passage? Could you offer it here? J: Do you feel entirely connected to your book, or do you sense another book brewing in your subconscious? Janice: If this interview were in Hebrew I would say, (with a wink to Arthur Miller) they are “all my sons,” – which is the Israeli way of saying that I feel intensely connected to all of my work, that which has been published, and that which hasn’t. Right now I’m working on a series of long interconnected stories that trace the history of a Jewish family in White Russia from around 1850 to our time. J: Any final comments, questions you wish I hadn’t asked or had thought to ask? Feel free to add, subtract. Janice: People are often curious about how I researched the book. I’ve already mentioned my studies and of course the internet, from photos of Eastern Christian monasteries to plant guides to Persian painting to Google earth, were a tremendous help. But my research had another dimension as well: As I wrote the book I found that hints and echoes of classic Islamic culture still exist in Modern Israel. The landscape, the markets, the archeological sites, the food, the music, the weather, the literature, the values and norms – all of it fell into cultural context, and helped me to understand what needed to be conveyed. Note from judih: The Wayward Moon is available from Amazon.com, Barnes and Noble and the Book Depository (and many other booksellers). Click into Janice’s site for more information. And enjoy the read! Therapy in All its Forms – now therapy! Paul Breslau on David Lloyd Speaks Out! Naomi Epstein (@naom… on David Lloyd Speaks Out!